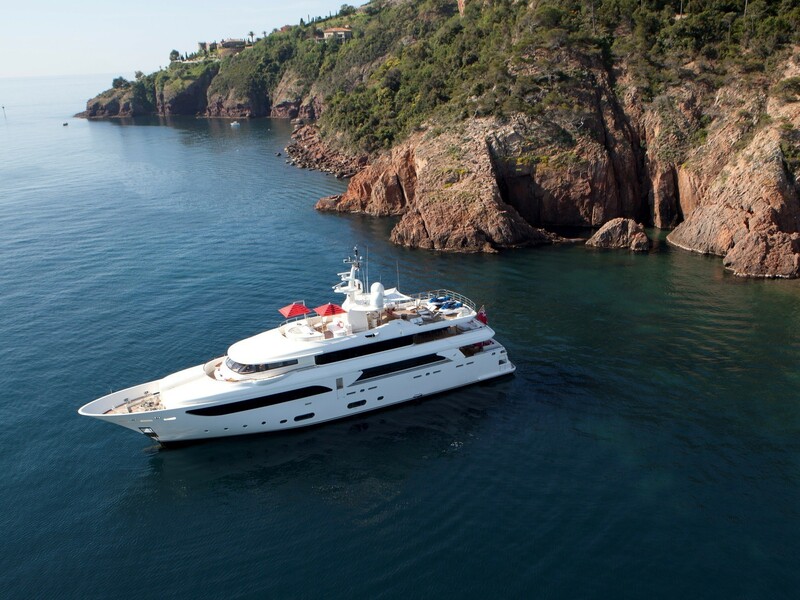 Built by CRN Ancona in 2007 and receiving a comprehensive in 2017, the 43m/140ft LUXURY MOTOR YACHT has a GRP hull and superstructure with interior styling from Laura Pomponi and Zuccon International Project. The accommodation sleeps up to 10 charter guests over five inviting cabins and a crew of nine will provide for all guests during their vacation. The lower deck transom door opens up to form a large swim platform above the water, perfect for sunbathing with quick access into and out of the sea. Aft sliding doors open into the beach club and gym beyond, while a staircase leads up to the deep sun pad sofa and raised alfresco dining table on the main deck aft. The upper deck aft is laid out for sophisticated alfresco dining beneath the sundeck overhang, seating up to 10 guests. 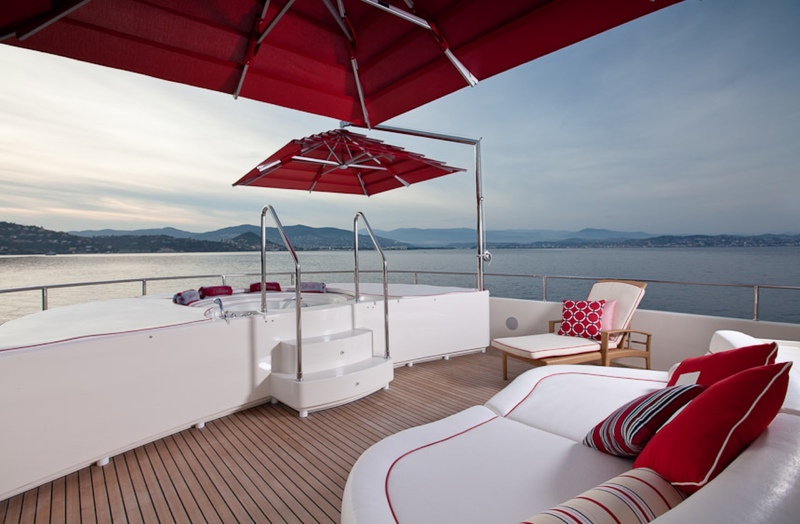 After a meal, guests can remain outside and take in the views of the integrated seating along the stern and at the centre, there is a double-sized sofa/sun pad. 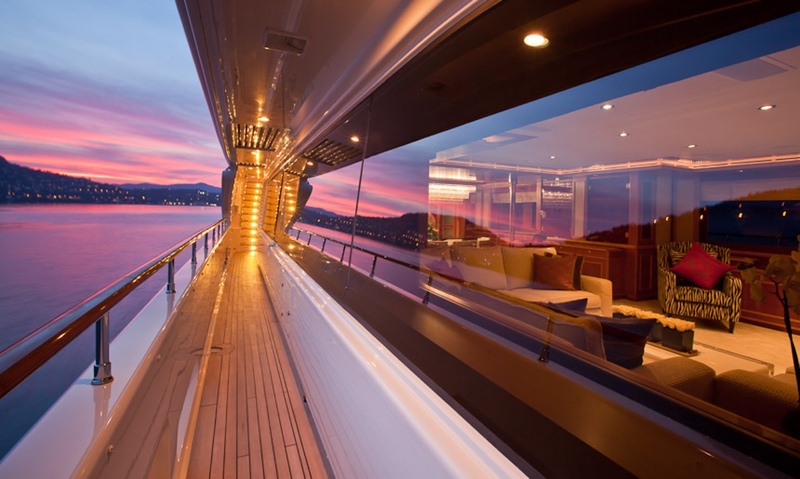 On the sundeck, the aft section is laid out with sun loungers and sofas which face a widescreen TV above the sundeck bar. The forward section has a circular raised Jacuzzi surrounded by sun pads and each side there is a sun umbrella so that guests can remain outside for longer enjoying panoramic views. 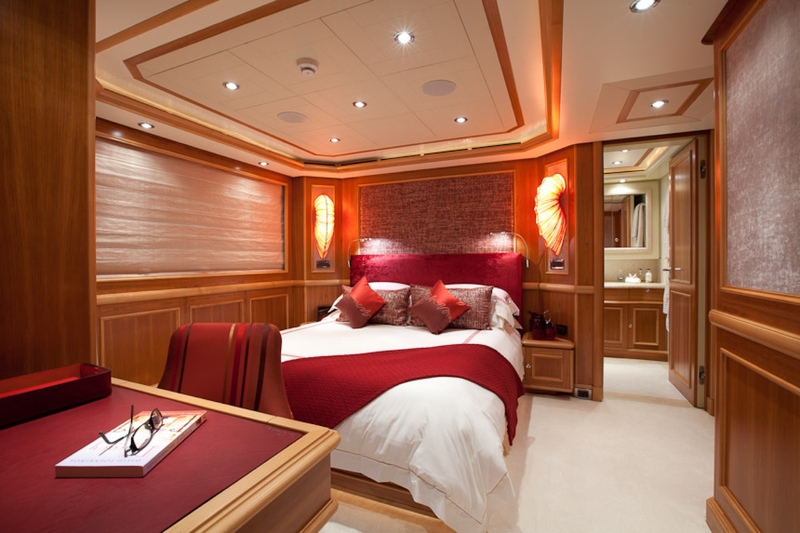 The lower deck contains the stern gym and sauna with the tender garage forward. The engine room is aft of amidships, where the guest accommodation of three double cabins and 1 twin cabins is located. The bow section holds the galley and crew accommodation. 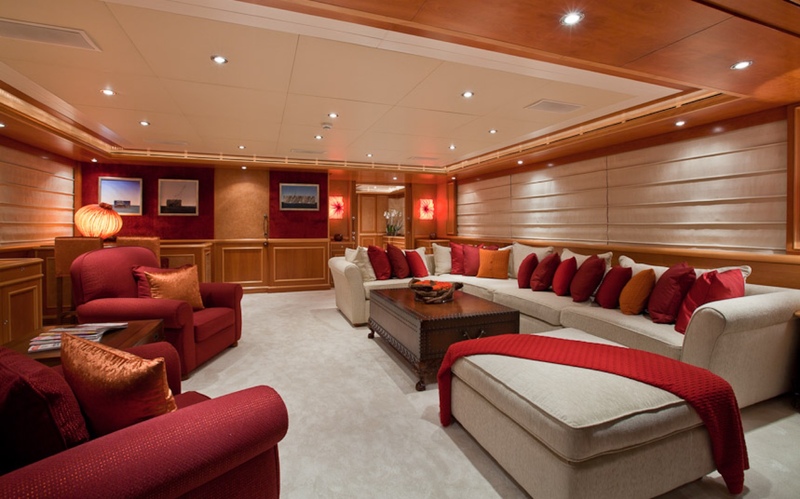 On the main deck aft, the forward section belongs to the Master suite, which benefits from a large side en-suite bathroom containing a tub, plus a lounge, walk-in wardrobe and media room. 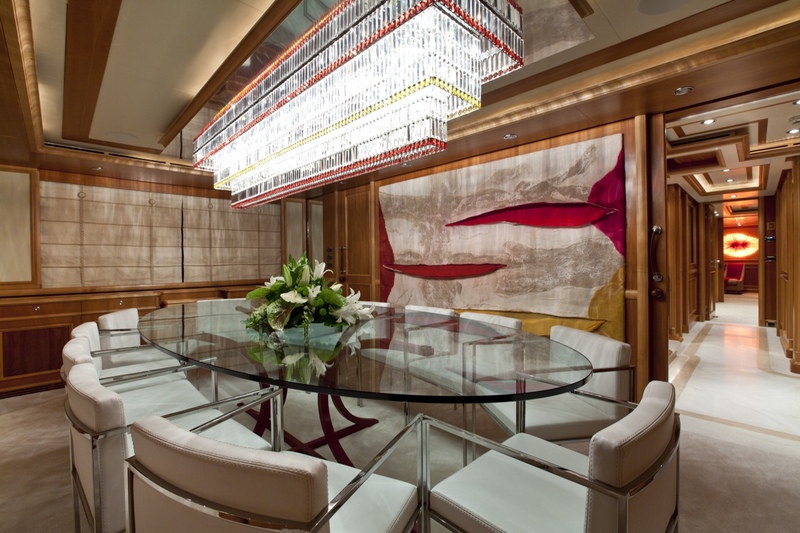 The aft section uses back-lit precious stones to create a glamorous environment for formal dining between 10 people. 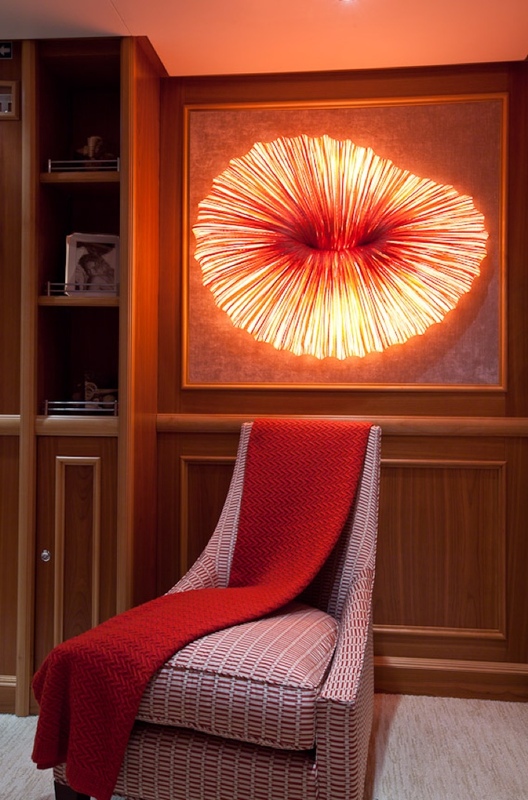 The large lounge uses pale panelling with furnishings in white and cherry accents and is comprised of an L-shaped sofa and armchairs around a glass coffee table, which face a widescreen TV that can be hidden within the starboard-side cabinetry. 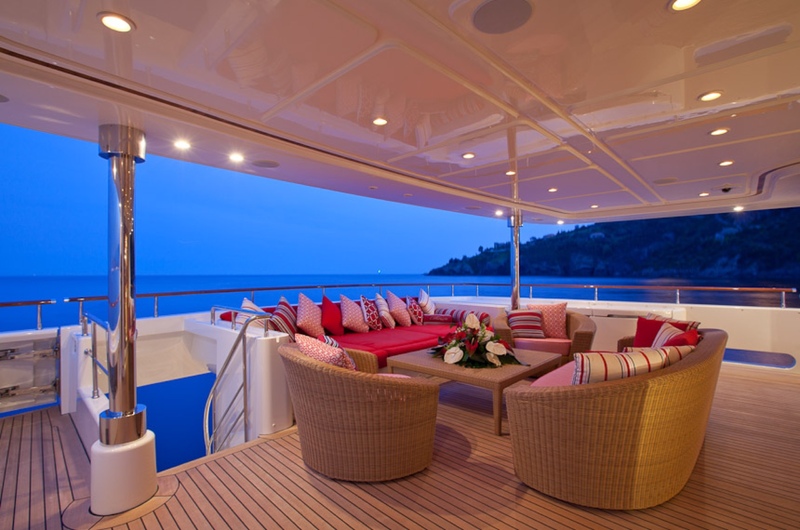 A wet bar to the aft is ideally positioned to serve guests inside and out on the deck. Above, the upper deck sky lounge provides an alternative venue for relaxation and the interior is fitted with a similar setup to the main salon, along with a back-lit forward bar. A pair of CAT 1,044 kW diesel engines producing 1,400 HP each allows for a top speed of 13 knots and a cruising speed of 12 knots, with a range of 3,200 nautical miles. The accommodation sleeps up to 10 guests over 5 gorgeous en-suite cabins: 1 Master suite, 3 double cabins and 1 twin cabin. 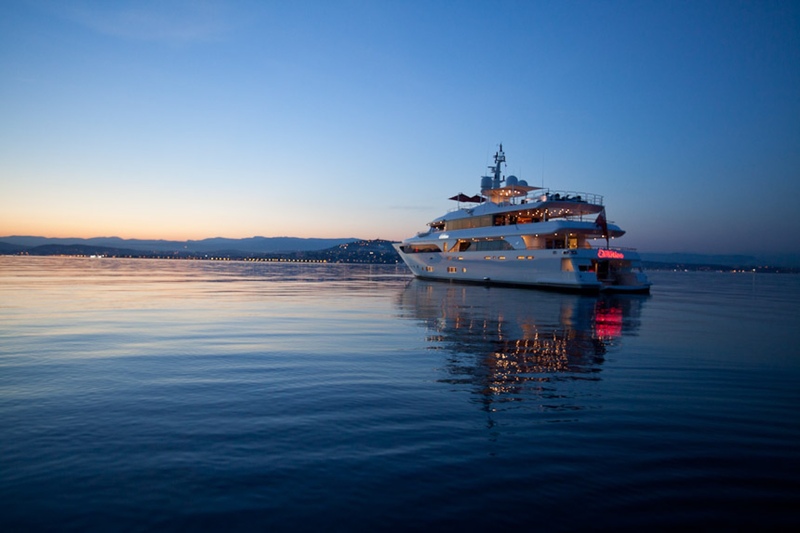 The professional crew of 9 will provide everything guests require for an unforgettable charter holiday. We do have available further amenity, owner and price information for the 42.60m (139' 9") yacht 43M LUXURY MOTOR YACHT, so please enquire for more information.